A baby’s entrance into the world can be traumatic especially when the mother is having a difficult delivery. Adverse events may happen during labor and the birthing process which may lead to a baby incurring injuries. These injuries are known as birth injuries and may impair the baby’s body function or structure. 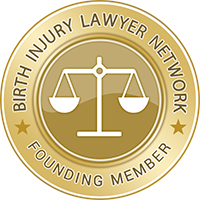 Risk factors of birth injuries include the fetus, mother and the use of obstetrical instruments to aid delivery. The fetal size and representation could lead to injury in such cases wherein the baby’s head is too large for the mother’s pelvis; when the baby stops moving while going down into the pelvis; has a low birth or very large weight; has a large head; has a developmental disorder or has an abnormal representation wherein instead of head first, the baby’s shoulder or feet comes first. The mother puts the baby at risk of getting injured especially when it is the first time for her to give birth; when she has a prolonged labor such as going beyond 24 hours; prolonged pregnancy such as going beyond 42 weeks; a quick rapid labor; or too little amniotic fluid. A delivery with the assistance of forceps or vacuum also put the baby in danger of injuries. With the baby going headfirst through the birth canal, there are several injuries that affect a newborn’s head. Injuries to the head of the baby are otherwise known as cranial injuries and often results from a delivery wherein forceps and vacuum extraction is used or prolonged labor. According to medical studies, about six to eight cranial injuries happen for every 1,000 live births. The signs and symptoms that a baby usually manifest in head injuries are seizures, apnea or bradycardia, respiratory distress, hypothermia or endocrine dysfunction, full fontanel and swelling in the scalp. Cranial injuries that a baby may suffer are skull fractures, extracranial fluid collections, intracranial fluid collections and facial nerve injury. There is, however, a low incidence of skull fracture than the bleeding in the brain, which is more common. Skull fractures usually heal on their own unless it deforms the baby’s head or had resulted in neurological symptoms. Bleeding, on the other hand, usually happens to premature babies due to inadequate blood flow to the brain or diminished quantity of oxygen in the infant’s bloodstream. The types of skull fractures that a baby could suffer are linear, depressed and occipital osteodiastasis. Types of extracranial fluid collections are caput succedaneum, subgaleal hematoma, cephalohematoma, while types of intracranial fluid collections are epidural hematoma, subdural hematoma, and intraparenchymal hematoma. The facial nerve is also prone to injury during vaginal births as well as spinal cord injuries. The position of the fetus, presence of uterine fibroids or the pressure exerted by forceps contribute to facial nerve injury. Types are facial asymmetry and mandibular asymmetry. These condition; however, resolves by itself in a week or up to several months. A rare and fatal injury that an infant may suffer during a difficult delivery is the injury to its spinal cord which usually results from a breech delivery. When a baby is born with its feet first, it usually involves traction to the spine or hyperextension of the infant’s neck.